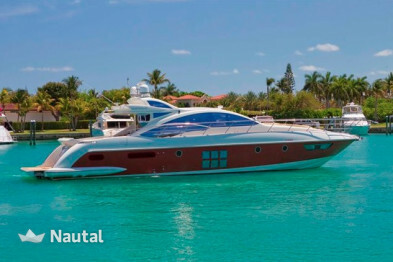 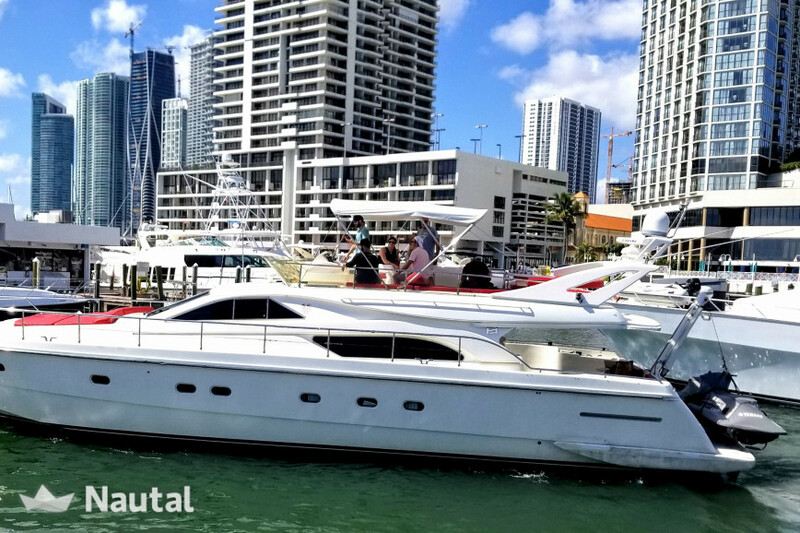 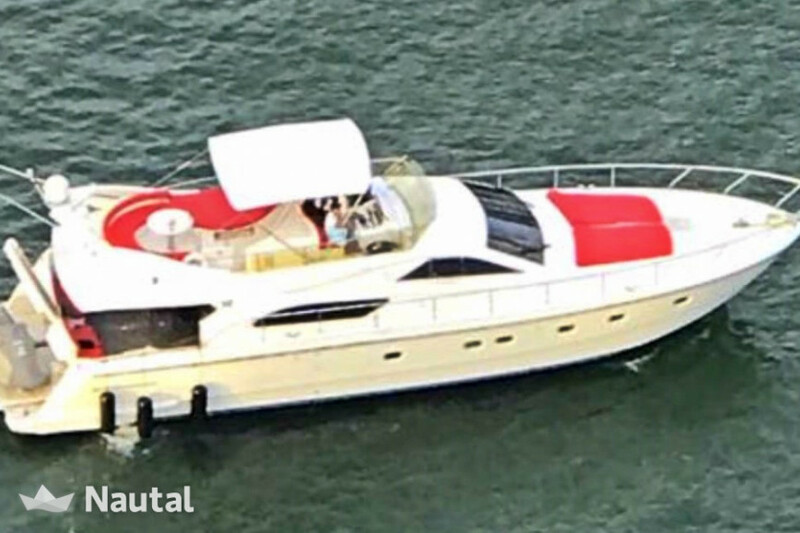 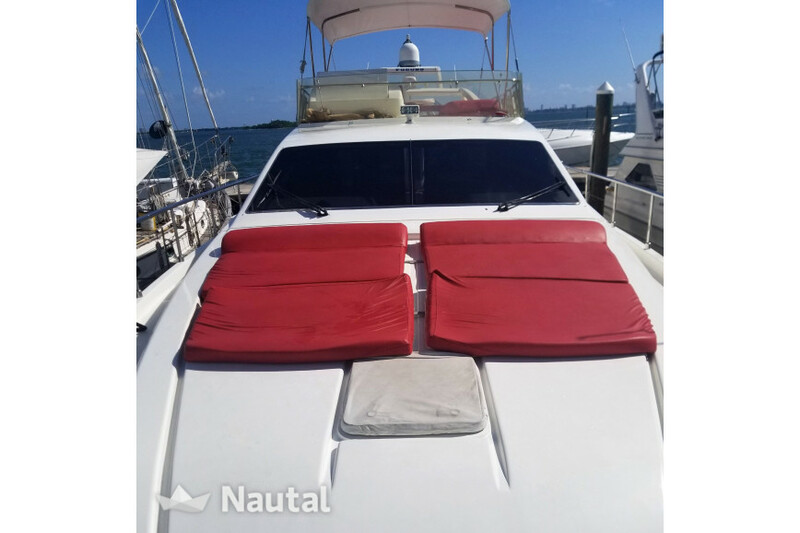 The spacious flybridge of this 60’ Ferretti luxury charter yacht is where you and your guests will enjoy the views of Miami’s skyline, Biscayne Bay or the Florida Keys on your upcoming seagoing adventure. 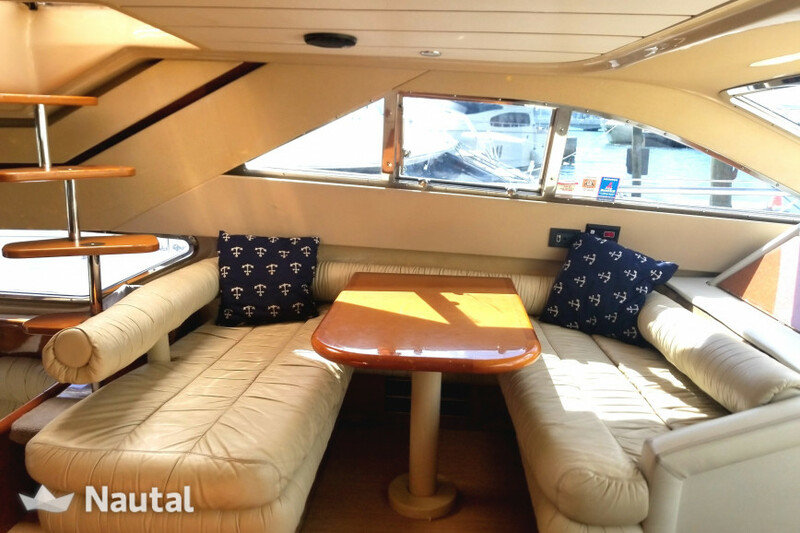 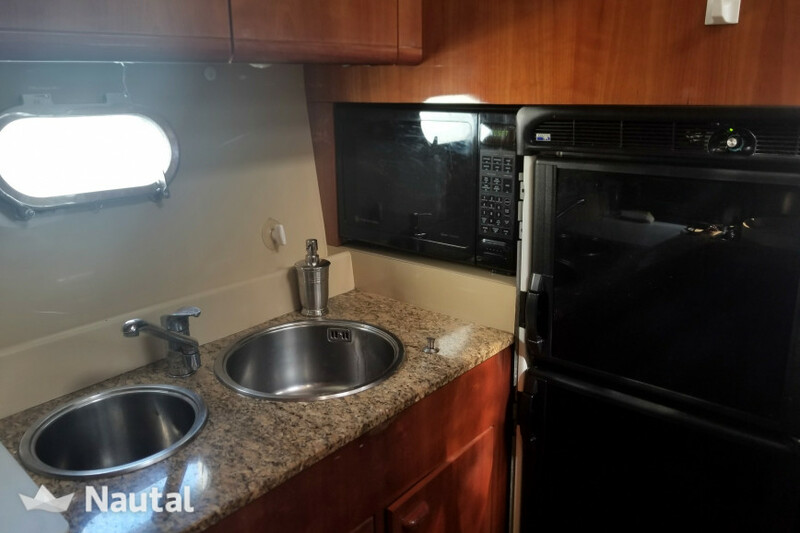 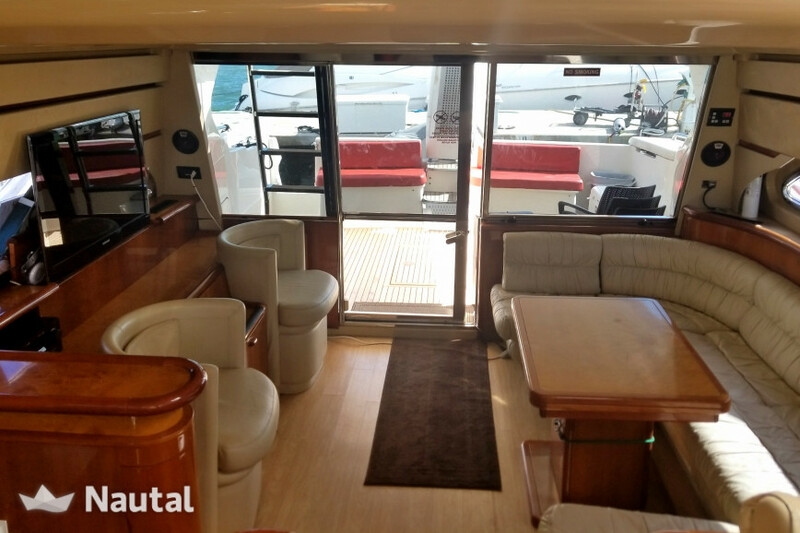 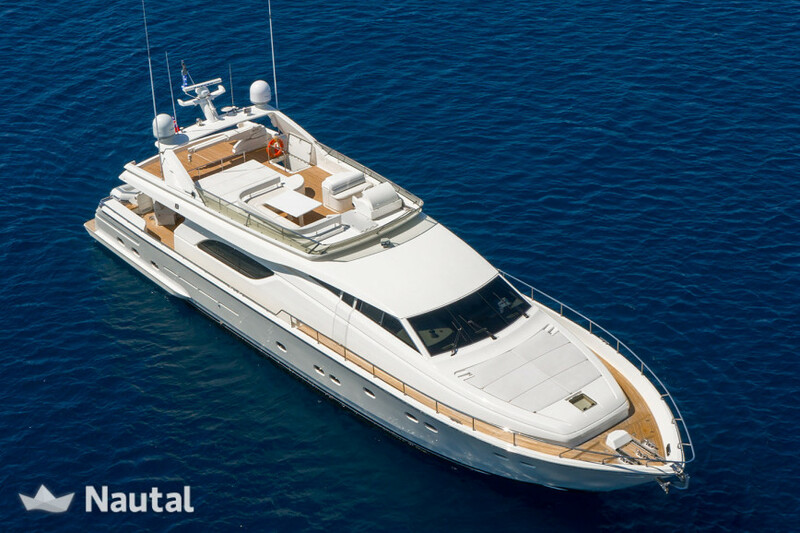 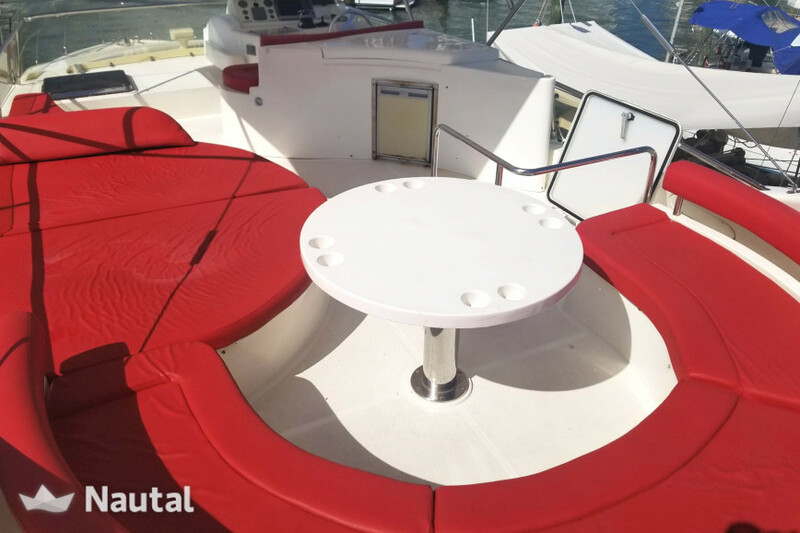 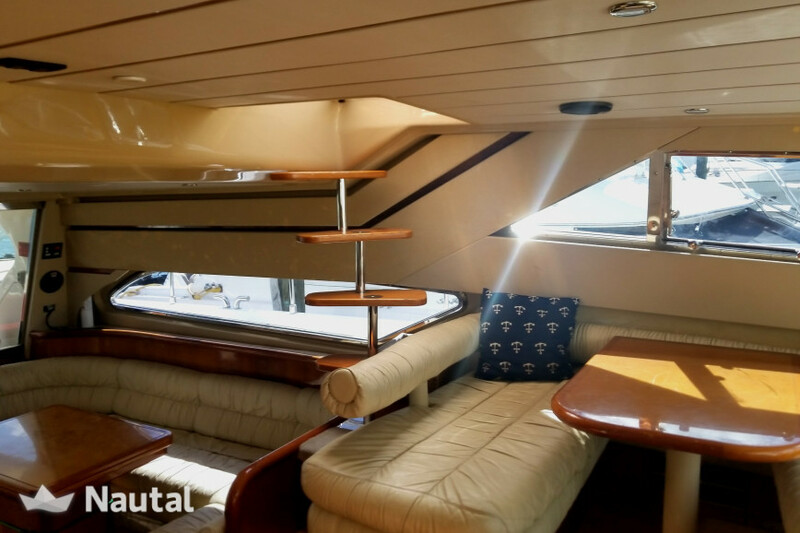 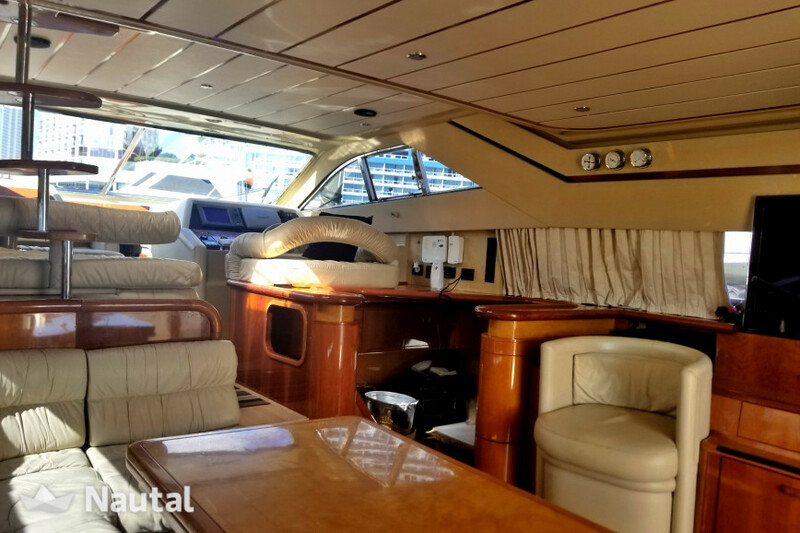 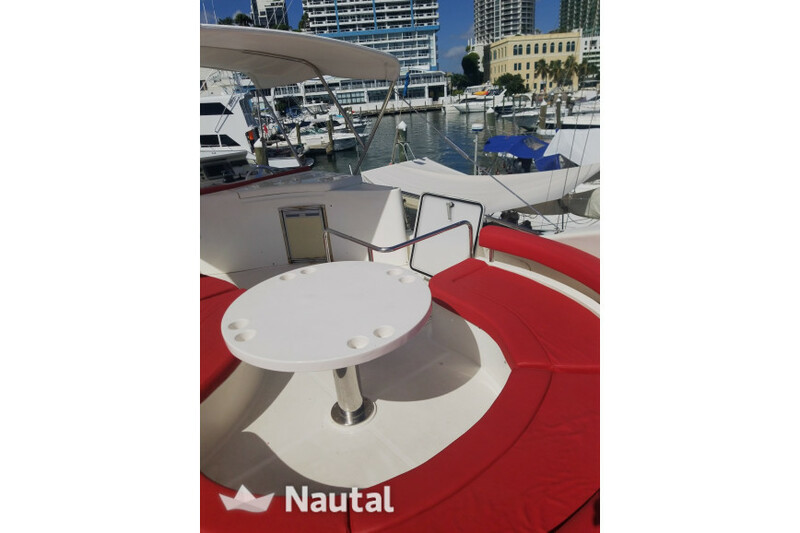 For up to 13 guests by day and six overnight, this Italian-designed rental yacht offers a lavish interior with high gloss cherry woodwork, entertainment center, and a sunken galley equipped with everything you need for a quick snack or elite cuisine. 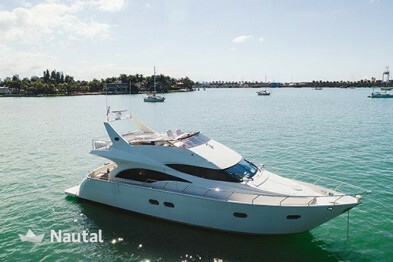 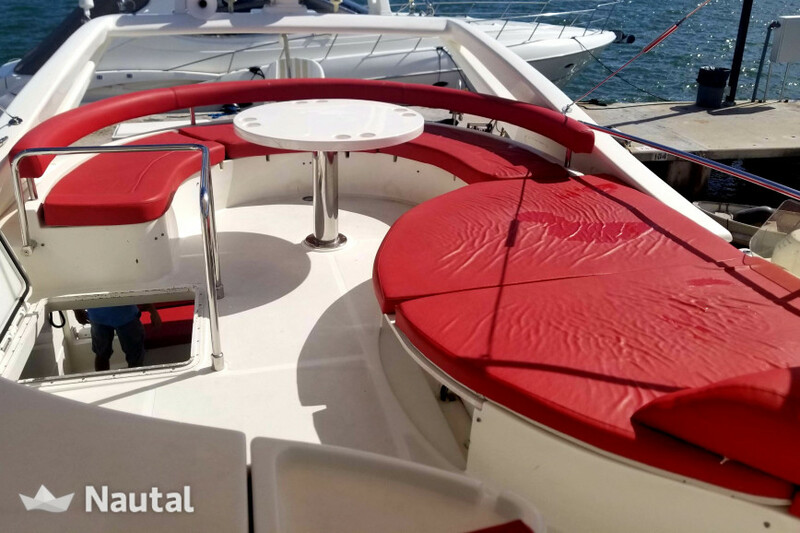 Outside, position yourself on the expansive bow, drink in hand, on the large sunpad. 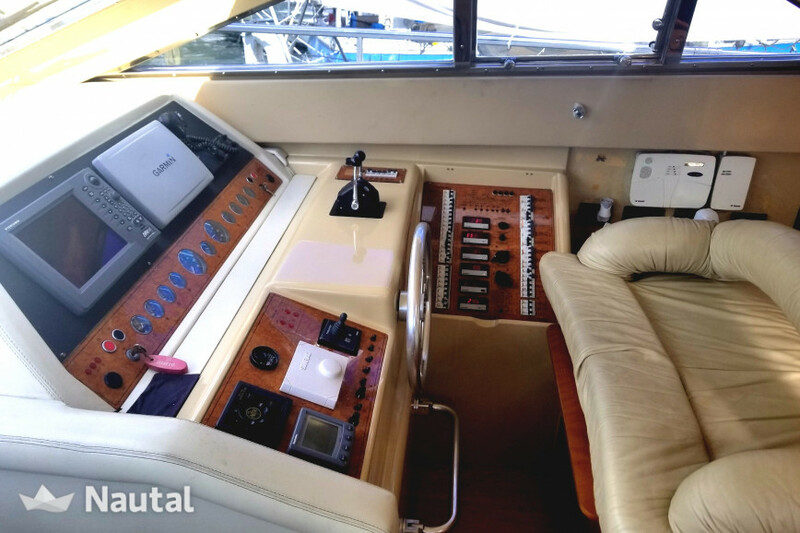 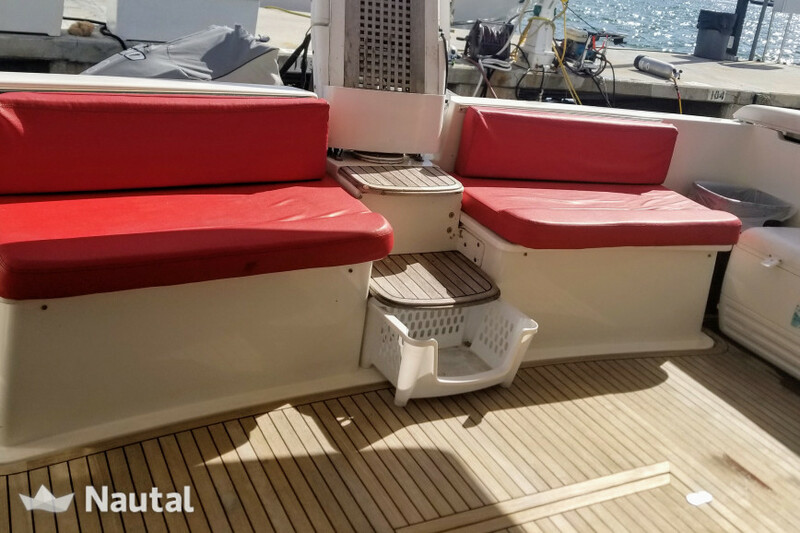 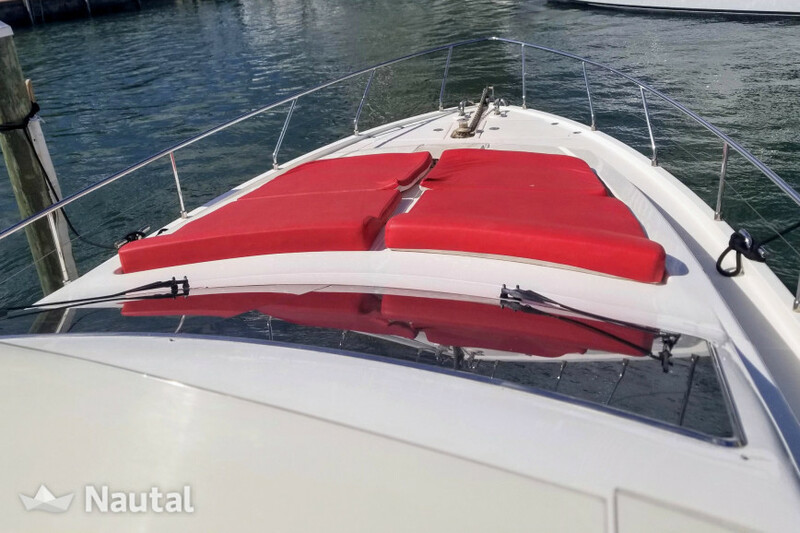 Aft of the salon, the cockpit has teak decking and is shaded by the flybridge overhang. 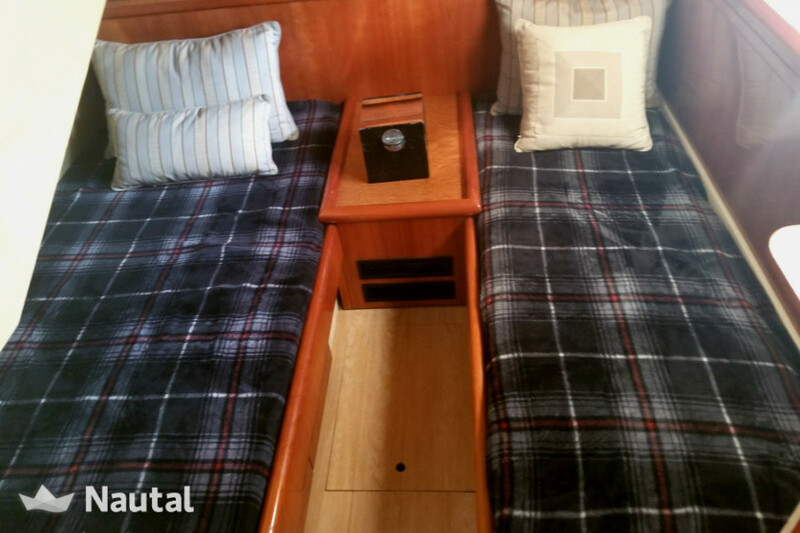 Overnight accommodations include a master stateroom with king-sized bed and two guest staterooms with twin beds. 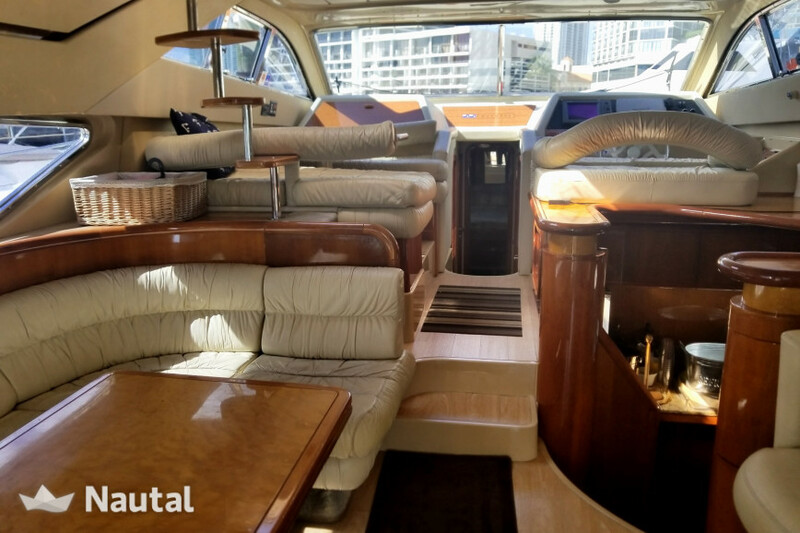 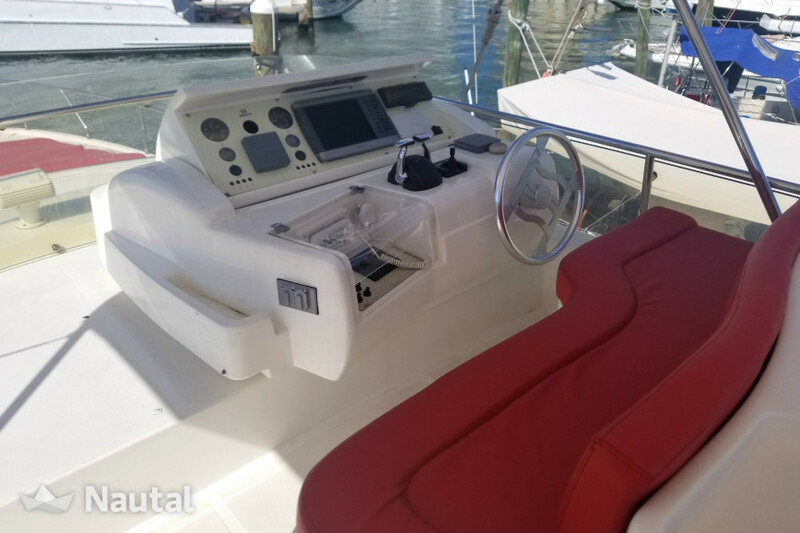 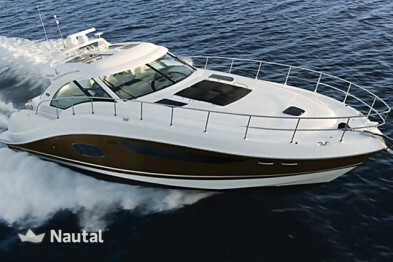 The 57’ Ferretti rental boat brings class and luxury amenities to make dreams come true for your exciting day or term charter. 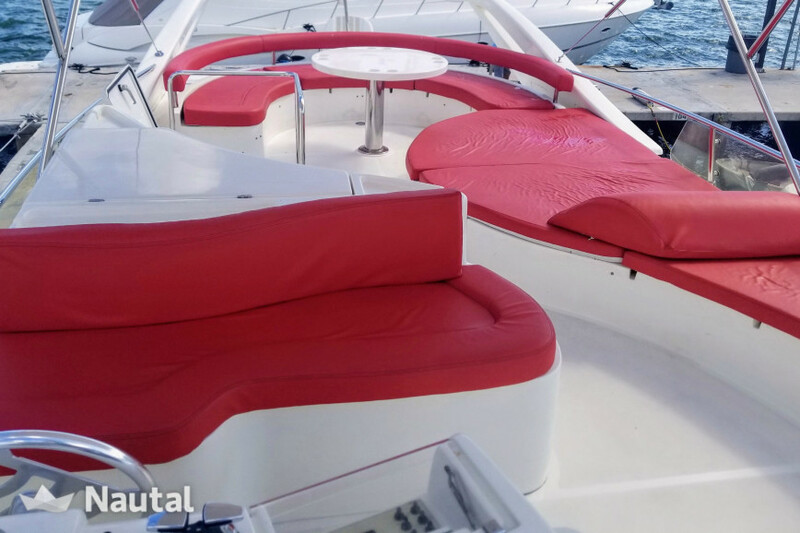 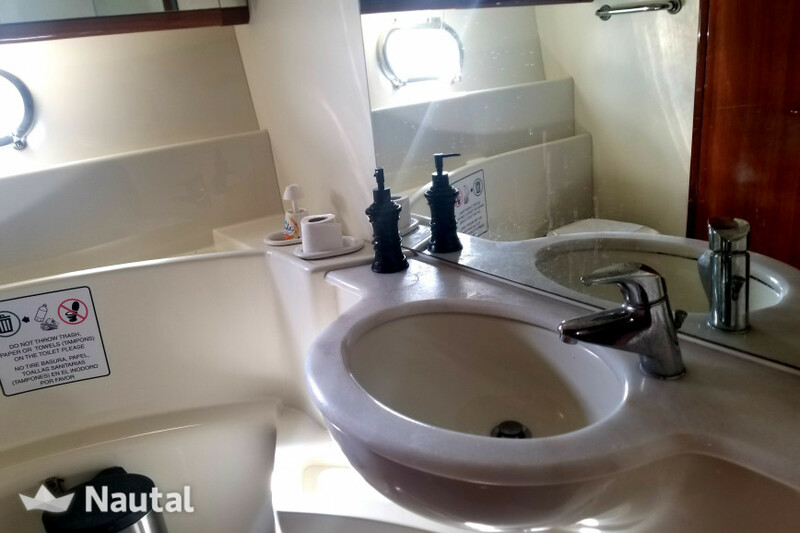 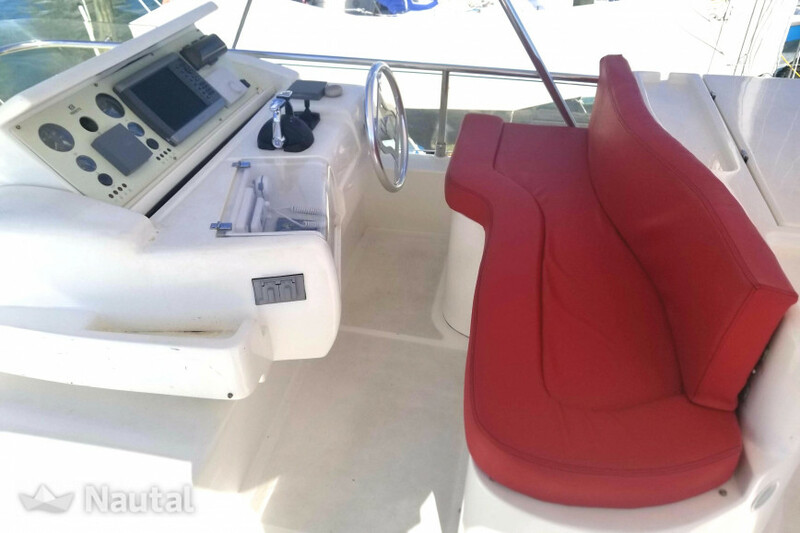 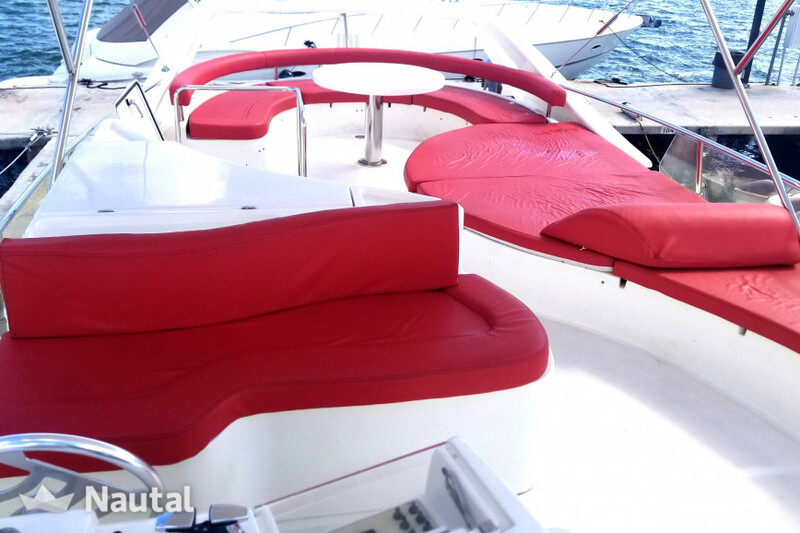 The price includes: Skipper, fuel, tax, booking fee, water-fun equipment, botelled water, ice, coolers, and towels. 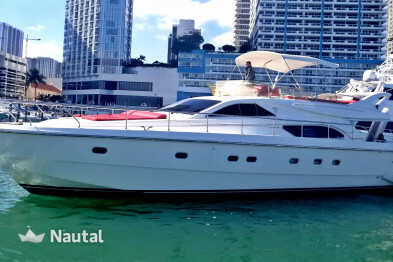 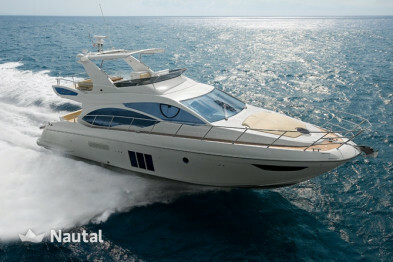 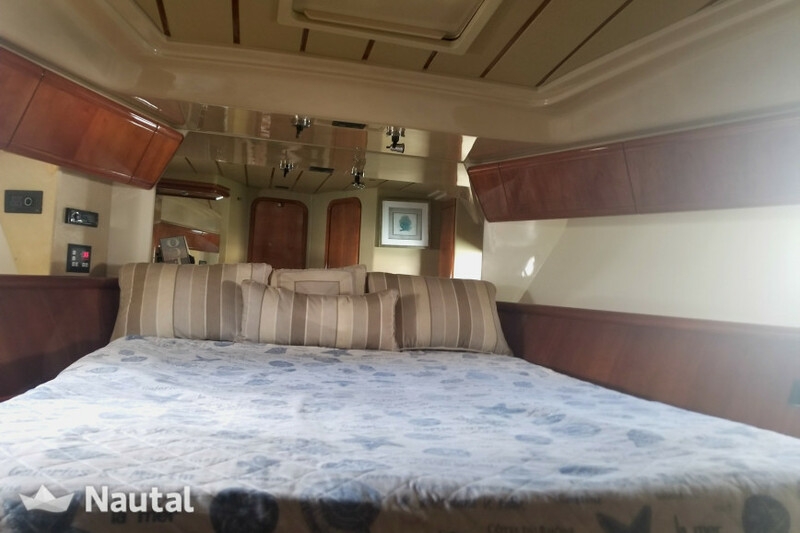 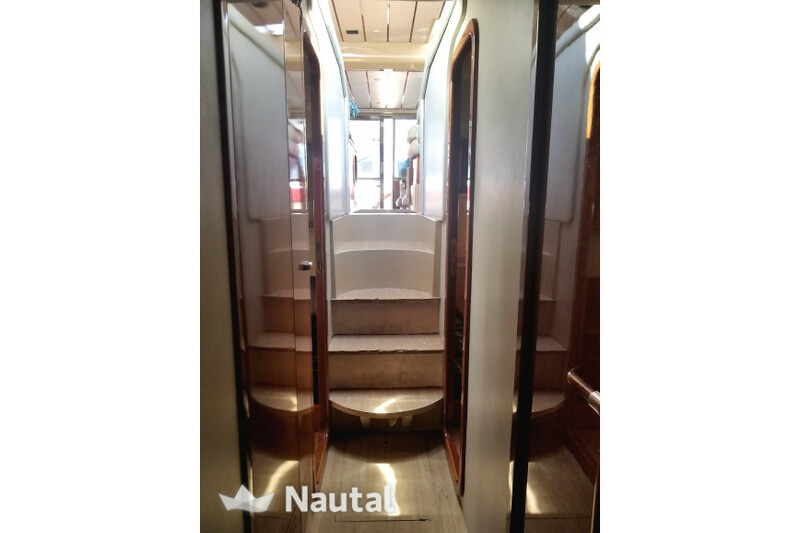 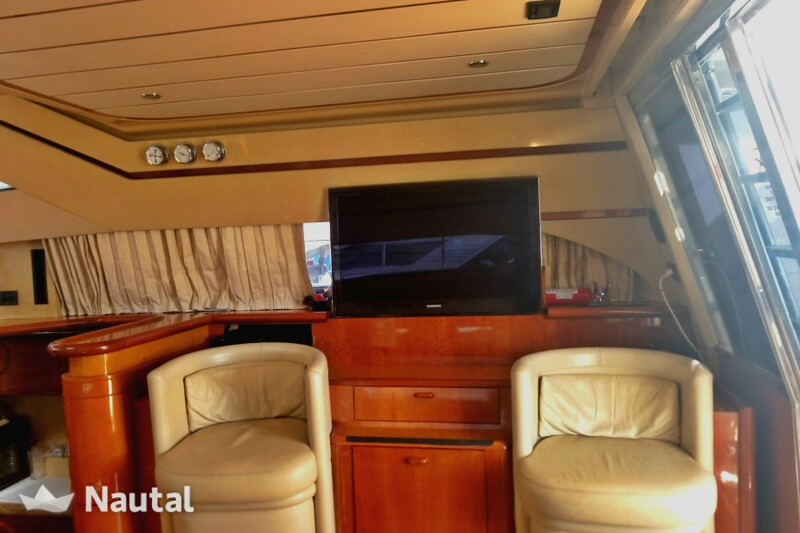 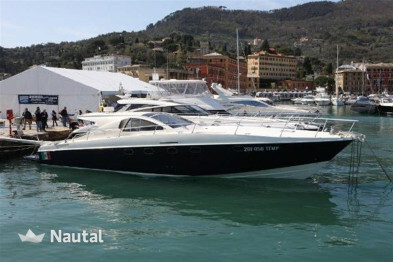 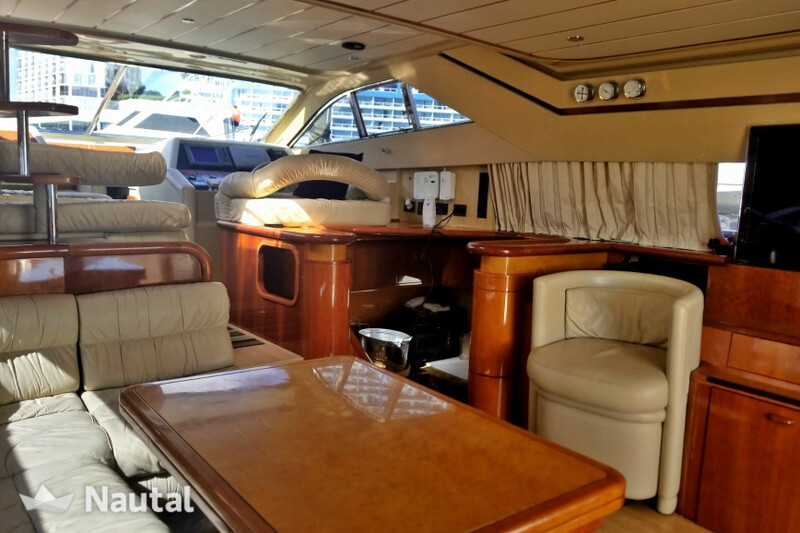 15% Gratuaty for a crew is not included, cash on board.